I have a question concerning a second flash. At this point I have a Nikon D5200 and a Nikon SB700 flash. I mainly shoot macro photography and I would like to buy a second flash to light the background of my subjects. At this point I use my SB700 as my main flash on my camera and a selfmade diffuser. What kind of gear (flash, sync cord, ...) do I need to have a needless sync between my SB700 and my new flash, and what would be a good second flash? I'm definitely not a flash expert so I really could use some good advise. That will depend on the flash unit you buy. 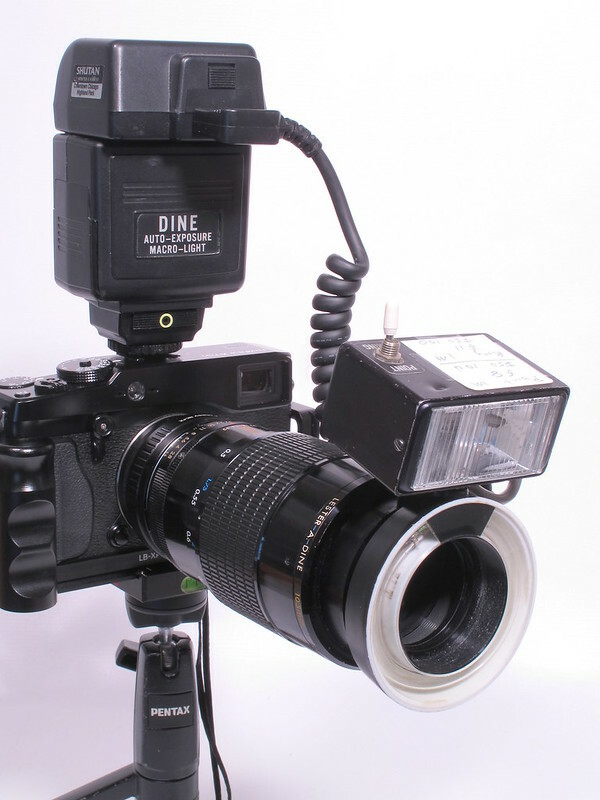 I am a Canon user and use to 580's on a macro flash bracket. One is connected to the cable via a flash cord and the other is triggered by the first one. Look into getting a Yongnuo flash. You can get them on amazon and probably elsewhere too. They go for like $70 or something. Are as good as your Nikon flash? Probably not, but for the price you can buy many many many flashes and throw them out if they go bad for the price of one Nikon flash. Set the Yongnuo to be a slave and your Nikon flash will trigger it wirelessly. Or if you want you can buy a Yongnuo wireless trigger and a few Yongnuo flashes and not use the Nikon flash at all. I have 2 of the Yongnyo flashes and the wireless trigger. They work great. I'm sure it misfires occasionally, but nothing that hampers me. When these flashes die, I'll replace them with another set of Yongnuo flashes. I could probably buy 7 or 8 Yongnuos for the price of one good Nikon flash. I prefer a strobe to flashes anyway, and don't use the flashes too often. Depending on what kind of macro you do, and how much money you want to spend, they do sell those tiny flashes you mount to your lens for macro work. I've never tried that, but it's another option. It might be good, but it might also limit what you can logistically shoot. Not really sure. They can be expensive for what they are, so I'd really look into them before buying one. I think I'd just stick to regular flashes myself. Anyway, go check out the Yongnuos and see what you think. Good luck with whatever you decide to get. Thanks for the clear advice! I think I'm going to try the Yongnuos. I use a ring light for my main light and use an optical slave controlled Yongnuo flash as a background light.